2012 Top 40 Restaurants in the U.S. "
Once again we introduce our new Top 40 list in a tribute to the finest dining destinations in America. Every year it is a challenge to compile these restaurants, as the vast expanse of country holds such a diverse range of cuisines, venues and chefs drawn from around the globe --- and grown right here at home. Whether top toques are reinterpreting molecular gastronomy, or rediscovering centuries-old artisan traditions, it is exciting to see our nation's cuisines evolve. From the rustic, verdant backdrops to urban skyscrapers, these restaurants in our Top 40 offer unique dining experiences that amount to our culinary bucket list. We salute the chefs and restaurateurs who continue to innovate, challenge our palates and push ever forward the frontiers of American dining. 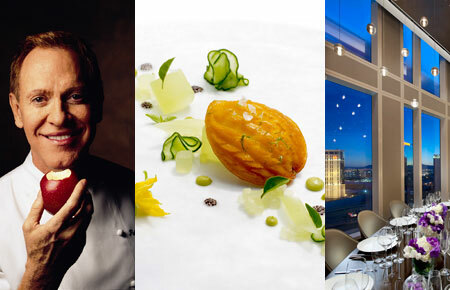 2004 Top 40 Restaurants in the U.S.